Set your new year diaries for the 2015 first series of talks, something for everyone and not to be missed. Jeremy York lived during difficult and fascinating times in Poland. 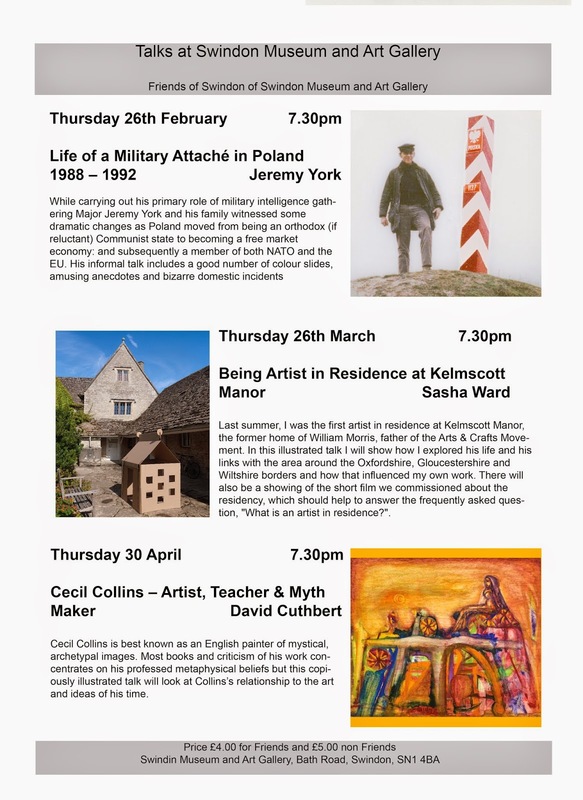 David Cuthbert was a pupil of Cecil Collins, a much loved artist from the Swindon Collection. ​A moving exhibition commemorating and bringing to life the stories of Swindon in the Great War. ​‘Present Tense’ showcases contemporary painting and photography. ​Curator, Sophie Cummings will introduce you to the fascinating contemporary British art in the Swindon Collection. ​Join us for an informal lunchtime tour of our current exhibition.